Did you know that petting a dog, locking eyes and even talking to one has been linked to lowering blood pressure, decreasing stress in humans and the simultaneous release of oxytocin? For many owners, whether you are aware of it or not, it’s just one of the many, many joys of owning a dog. At Dig-In we reckon that one of life’s most gratifying pleasures is simply taking it easy and patting our faithful friends. But according to science, there’s more to it than that. Dog’s get an immense satisfaction out of being petted too. In fact, they are one of the few species to simultaneously release oxytocin when interacting with another species. They also help humans release serotonin and other ‘feel-good’ chemicals. Oxytocin (the love hormone) is released when interacting with your dog, whether that’s a meaningful gaze or just a long drawn out belly rub. It’s become an essential part of the dog and owner bond – some scientists even go as far to say that dogs may have hijacked the parent-child bond. Whatever, the science behind it is, it’s a fact that if pet your dog for around 30 mins a day, the release of ‘feel-good’ chemicals will help you be a better, less stressed, healthier and even more social human being. You’re probably seeking out your dog now for a pat… we can wait. With such an important responsibility on their paws dogs need to be in top shape for their daily half hour of petting. Which in many ways, boils down to a nice, healthy coat – something that Dig-In can definitely help with. As an owner, you’ll quickly notice any signs of a poor coat. The coat will appear dull and lacklustre, even patchy. Left unchecked this can develop into redness of skin, flakiness and often results in constant scratching and bad body odour. There a few usual suspects to look out for when trying to improve coat quality. Allergens – This will primarily come down to something your dog has ingested. For an allergen source to affect your dog’s coat it’s reasonable to assume that it has regular contact with the source. 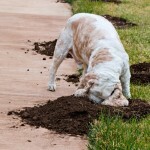 This could mean something in your garden, frequent bin rummaging or a reaction to a shampoo and/or incorrect grooming. Poor Diet – This can be pretty broad and managing your dogs’ diet correctly could fill a whole book. If you’re looking for places to start, we’ve created some articles that are certainly worth reading. 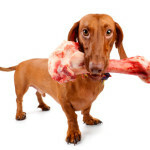 Bones, Top Human Foods your dog can eat, Top Human Food Your Dog can’t eat, How Much Should I feed my Dog. Poor Grooming – Have brush, will comb. Make sure you wash your dog semi-regularly at least and always with the right kind of shampoo. If your dog has a history of sensitive skin you may wish to spot check first and remember natural is best. That’s about it for grooming really. That and a good dollop of common sense for your breed. 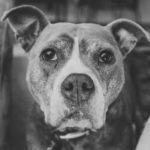 Old Age – Dogs like us can lose hair as they get older. 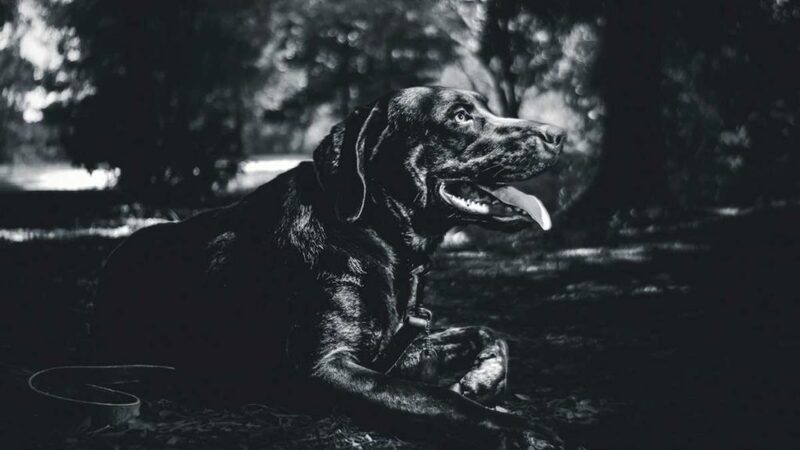 It’s not unusual to see a once full and fluffy coat start to grow thin with old age, you may want to bear this in mind if your dog’s coat is slowly becoming sparse. If you noticed a persistent problem even with the above ticked off or accounted for then a trip to the vet is almost certainly on the cards. 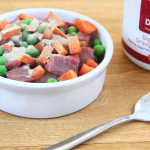 Dig-In works by promoting good gut health through our prebiotic formula. Fighting against any nasty bacteria in the digestive process, and building a stronger immune system to ease the common symptoms of food allergies. 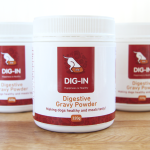 A healthy gut and digestive tract is the foundation of good health overall – nails and a thick healthy coat are positive symptoms of good gut health but one that you can expect when using Dig-In.